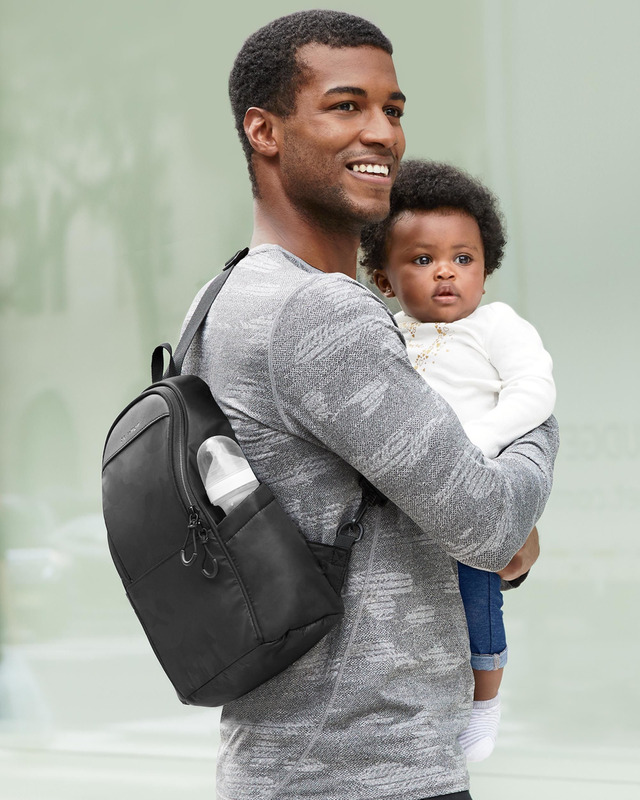 Packed with a sporty-cool vibe dads (and moms) will love, the Paxwell Easy-Access Diaper Sling is a compact alternative to a backpack for busy parents on the go. 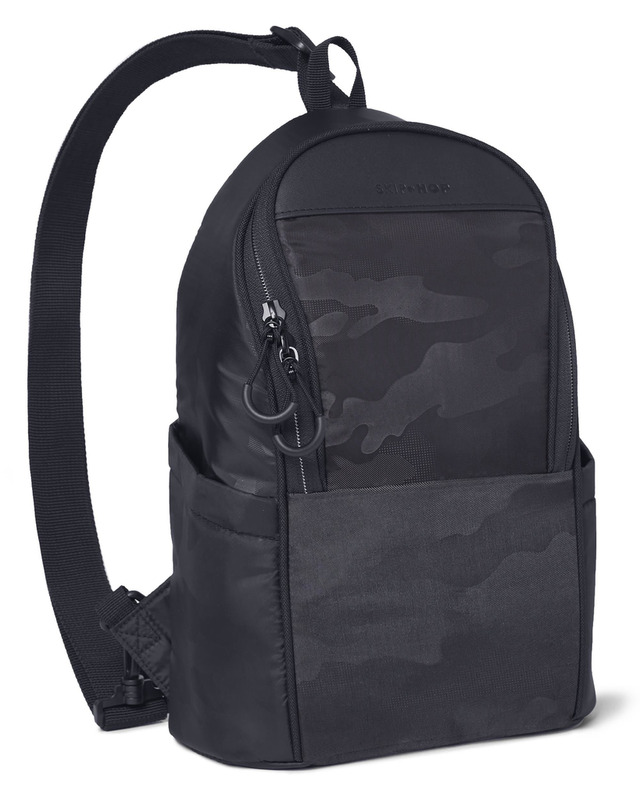 Spacious enough for essentials, baby's diapers, plus the included changing pad, the streamlined design features wipe-clean fabric with a tonal camo print for extra edge. 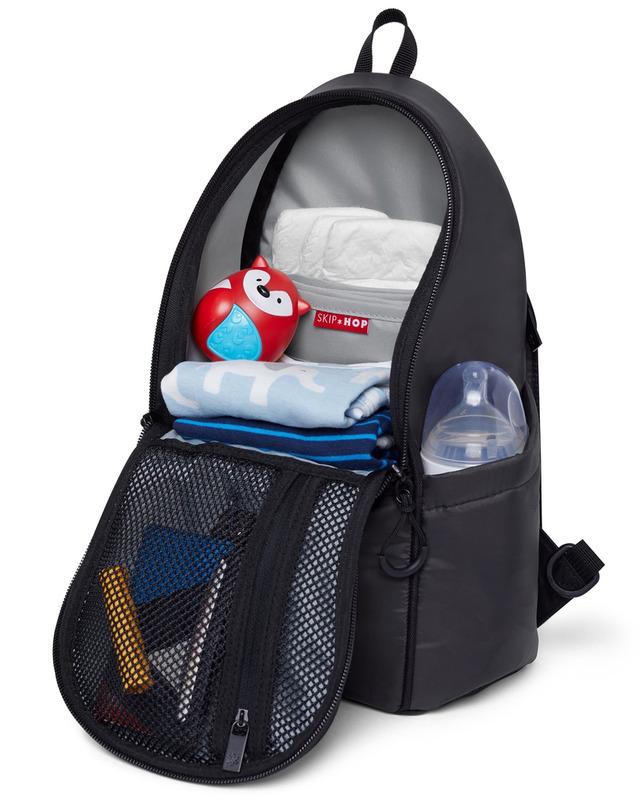 A wide dual-zip opening makes it easy to pack and grab everything you need quickly. 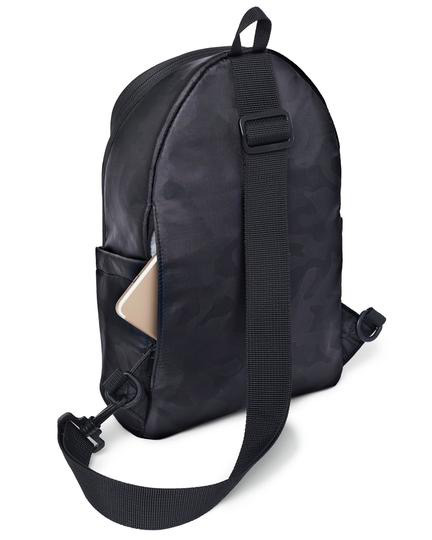 Pockets in all the right places include a hidden back zip pocket (perfect for stashing your smartphone), two insulated side pockets for bottles, plus an interior mesh zip pocket for smaller items. The adjustable strap is easy to switch from the right or left side making this a go-to for days when you're traveling a little lighter.